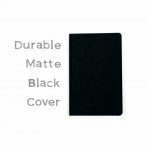 The Clutch Notebook is Blackwing's take on the pocket notebook. 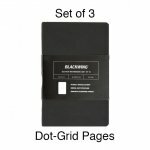 Every Clutch Notebook features 48 pages of high-quality, 100GSM* paper, printed with a light dot-grid. 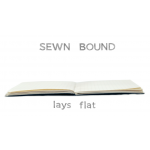 The clutch is sewn-bound, with a durable but flexible matte black cover. 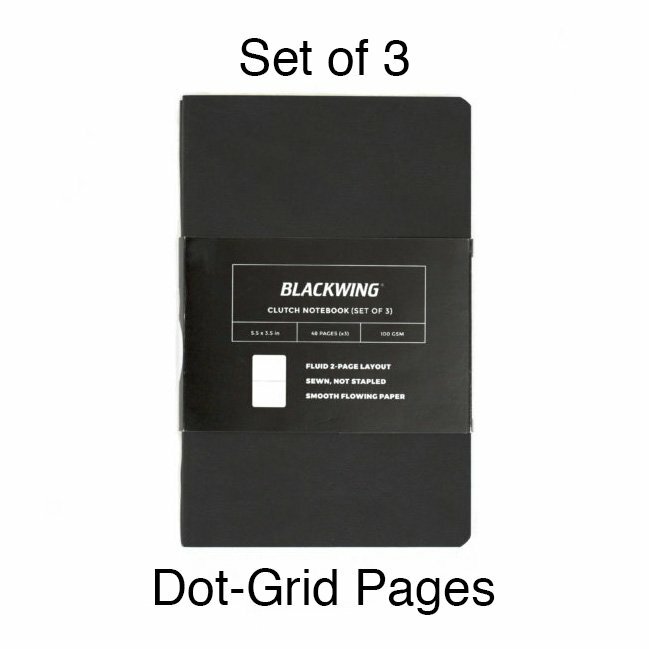 All pages have a light dot-grid to help you keep everything lined up on the page. Each notebook measures 3 1/2" x 5 1/2" when closed. When you open it and lay if flat, you can draw across two pages, which gives you a usable work space of 7" x 5 1/2". 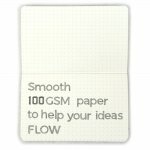 *GSM is an acronym standing for 'Grams per Square Meter'. Quite simply, it allows print buyers and print suppliers to know exactly about the quality of paper that is being ordered. The higher the GSM number, the heavier the paper.